The terms and conditions below apply to all those who sign up as beta testers of our mobile game Reality Clash. If you are going to participate in our beta testing programme, please read the terms below carefully. If the meaning or intention of a clause in the contract is unclear, please get in touch with us for clarification. By participating in our programme you are accepting the terms below. THIS AGREEMENT is made by and between Reality Gaming Group Ltd (“we”, “RGG” or the “Company”), and You (“you”, “Licensee” or the “User”). RGG has developed a software application, including modifications, enhancements, improvements, updates, additions, derivative works, documentation and related material (“Software”). RGG desires that the Software be tested prior to general release. RGG reserves the right to modify or terminate the Software or your access to the Software or the participation in our beta testers programme for any reason, without notice, at any time, and without liability to you. RGG grants to Licensee a non-exclusive, non-transferable license to use the Software on a single device solely for Beta testing and Beta use from effective date of agreement to 45 days after official release date of the products(s), subject to the term and conditions below. In consideration for receiving a copy of the Software for testing, Licensee agrees to serve as a “Beta Tester” for the Software and will notify RGG of all problems and ideas for enhancements which come to Licensee’s attention during the period of this Agreement, and hereby assigns to RGG all right, title and interest to such enhancements and all property rights therein including without limitation all patent, copyright, trade secret, mask work, trademark, moral right or other intellectual property rights. Software is prerelease code and is not at the level of performance or compatibility of a final, generally available product offering. Software may not operate correctly and may be substantially modified prior to first commercial shipment,or withdrawn. Software is provided “AS IS” without warranty of any kind. The entire risk arising out of the use or performance of Software remains with Licensee. In no event shall RGG be liable for any damage whatsoever arising out of the use of or inability to use Software, even if RGG has been advised of the possibility of such damages. The Licensee upon completion of the Beta test agrees to provide material, statistics, or information that is not deemed confidential to Licensee for use in press releases, customer testimonials, and as a reference in marketing and sales initiatives by RGG. Licensee mayl provide a quote to RGG that may be used in a press release. This License Agreement shall be governed, construed and enforced in accordance with the laws of the United Kingdom. Any notice required by this Agreement shall be given by electronic mail info[at]realityclash.com under the terms of this notice provision. Licensee shall comply with any applicable federal, state and local laws, regulations, and ordinances in connection with its activities pursuant to this Agreement. Failure of RGG to enforce a right under this Agreement shall not act as a waiver of that right or the ability to later assert that right relative to the particular situation involved. The promoter is: Reality Gaming Group Ltd (company no.10589824) whose registered office is at 77 Shaftsbury Avenue, London W1D 5DU. The competition is open to selected BETA tester aged 17 years or over except employees of Reality Gaming Group Ltd and their close relatives and anyone otherwise connected with the organisation or judging of the competition. Closing date for entry will be 30 September. After this date the no further entries to the competition will be permitted. The rules of the competition and how to enter are as follows: You will be required to fill in a short questionnaire about certain features in the game. Once RGG has received these you will receive an exclusive digital ‘beta Test’ medal, which will be added to your account and you will be entered into a competition to win your very own exclusive ‘one of a kind’ weapon which can be used in the game or traded in our market place. The prize is as follows: An exclusive digital ‘beta Test’ medal, which will be added to your account and you will be entered into a competition to win your very own exclusive ‘one of a kind’ weapon which can be used in the game or traded in our market place. 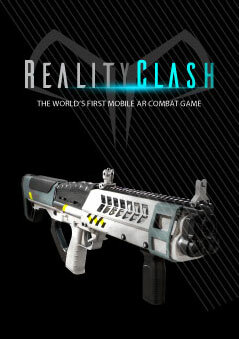 Winners will be chosen: by Reality Gaming Group Ltd. The competition and these terms and conditions will be governed by United Kingdom law and any disputes will be subject to the exclusive jurisdiction of the courts of the United Kingdom.